He is really awesome. 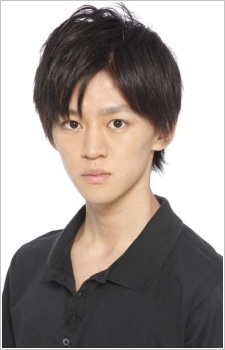 I was very surprised when i first heard him singing Aku no Hana opening 2 because of his voice's perfection. Also with Kasuga-kun; he is really doing great. It was actually Noko from Shinsei Kamattechan who sang in the Kasuga version of Aku no Hana's opening. His face resemble the character face from Aku No Hana?... Or just it seems to be. Anyway, his voice acting was good. He did really well with Aku no Hana... so why is he now so whiny and terrible to hear in Evil or Live? the voice is similar to Mikado (durarara!!) this guy need more roles. Really enjoyed hearing him in Mushishi Zoku Shou, I like his voice alot and feel he needs more love. I think they took him as an image to draw Kasuga. Boy, he's good. Really talented. He was awesome as Kasuga.